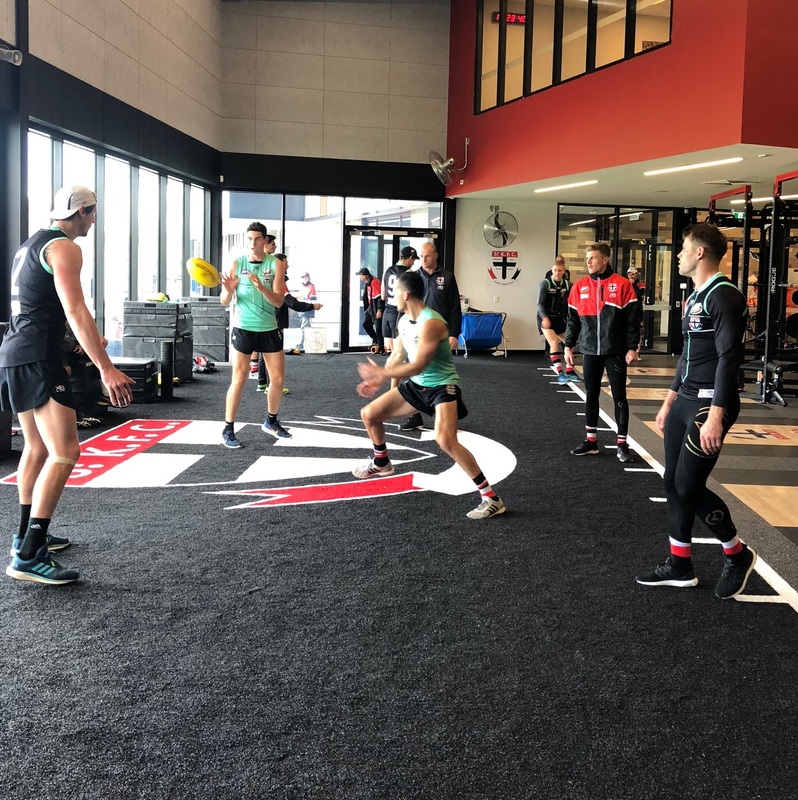 During the Melbourne tour, the New Zealand U18 squad were lucky enough to be able to tour the new St Kilda Football Club facilities in Moorabbin in Melbourne’s South East. The Saints moved back to their spiritual home in March this year after spending the last 8 years at Linen House in Seaford. Under the new name of RSEA Park, St Kilda’s new training and administration headquarters is unrecognizable to the facilities the club endured before moving to Seaford in 2010. While work will continue throughout 2018 on the second component of the new $30 million facility, which will become the headquarters for local community football leagues and the Sandringham Dragons, the Saints’ elite men’s program and supporting administration team. The Saints continue to operate their women’s football program, Next Generation Academy, community football engagement and supporting business operations from the Linen House Centre in Seaford – a region in which the club is committed to maintaining a strong community presence. The New Zealand side were shown around the brand new facility before having a Q&A session with Saints New Zealand listed players Rowan Marshall and Barclay Miller. Following the tour, the squad ran through a game plan in the theatrette before heading out onto the Oval for a training session. 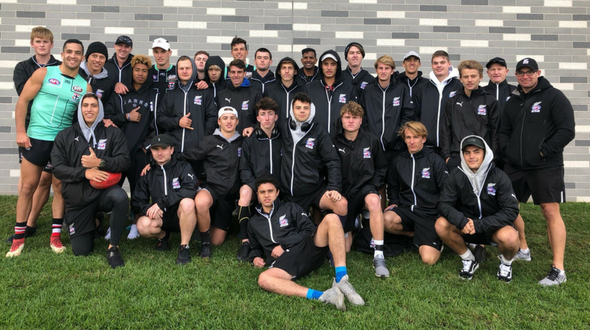 AFL New Zealand would like to thank the St Kilda Football Club and it’s players for taking time out to provide the opportunity for the U18 squad. The U18 squad got to meet the Kiwi Saint’s, Shane Savage, Barclay Miller and Rowan Marshall.